We spent another quiet week at home. My boys rarely want to head out anywhere anymore and while I find it a bit frustrating and miss all our field trips I am trying to embrace our time at home and enjoy what his turning out to be quite the slow summer. 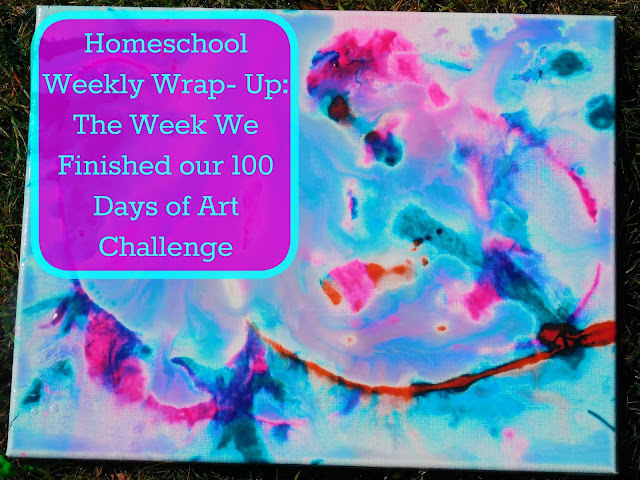 We FINALLY finished our 100 Days of art Challenge and while I am so relieved to be able to stop planning arts and crafts projects I am a bit sad to see it end. We've had so much with so many of the projects we tried. We've enjoying simple pursuits this week like swimming, kayaking, searching the skies for rainbows, and biking. We've also used our time this week to start preparing for a huge 4th of July cookout with the whole family. 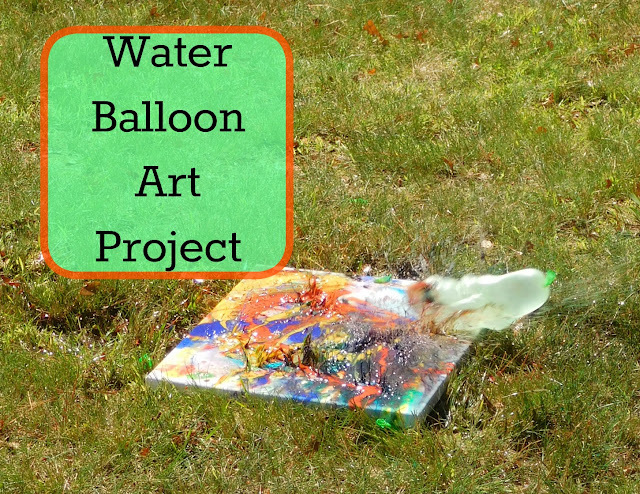 Since our Balloon Splatter Painting activity was such a huge hit, I thought we should try an art project using water balloons. With the hot summer days finally upon us I thought this would be a fun and cool project to use to end our 100 Days of Art Challenge. We took canvas outside and splattered paint all across them. We used regular tempera paint; we wanted something water soluble but thick enough to hold up to all the water. We then filled up our water balloons and the boys started throwing the balloons at the canvas to splatter and mix the paint around. Sure a lot of the paint ran off the sides of the canvas once they were quite wet and saturated but I just encouraged the boys to try adding some more paint. Once we were out of balloons and everyone liked their project we left them in the sun to dry.